You’ve all seen the photos. 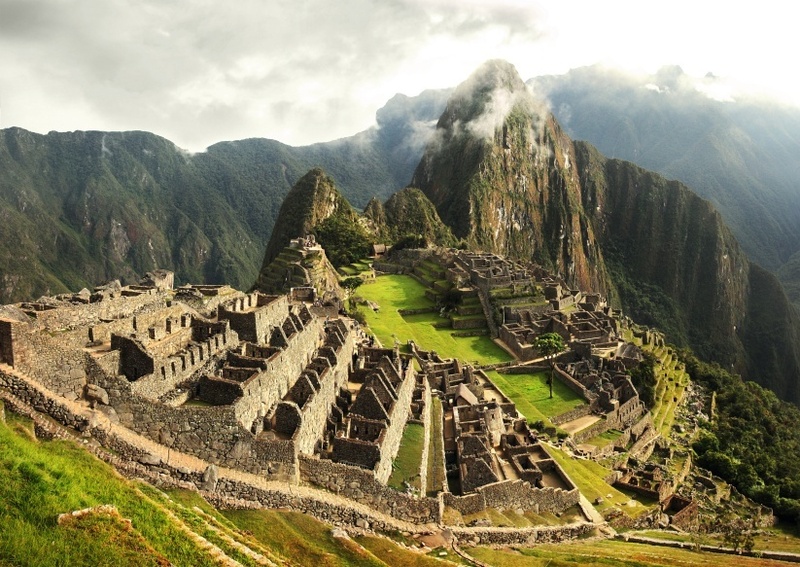 Ancient Incan cities set high up in the mountains sure do create a lasting image. If that’s what you’ve come to Peru for, you won’t be disappointed, but there’s also much more to this amazing country, starting with some vibrant (and surprisingly large) cities. We’ll cover where to travel in Peru, how to get around, when to go, and how much it’s likely to cost you. In general, you’ll want to use trains or buses to get from point A to point B in Peru – except in some cases where you’ll need to travel by plane to reach more remote outposts. For the most part you should avoid renting a car due to relatively lax safety standards and dangerous driving practices. June to September (dry season in the mountains and rainforest) is the most popular time to visit, though you can avoid crowds by going slightly earlier or later – while still taking advantage of decent weather. You can still justify a trip to Peru anytime of the year, with the summer and early fall months (December to May) the better time for beachgoers and surfers. The largest city in Peru (and one of the largest cities in the entire Americas) is a bit of an odd animal. The urban sprawl can be a bit overwhelming but conceals a wealth of sights and activities within. With great museums, amazing food, and all the nightlife you’d expect from a mega city – you’ll find it quite easy to get lost (literally) in the streets of Lima. It may not always be the prettiest city in the world, but there’s absolutely no denying its energy. It’s a must-see, even if you’re just passing through. One of the most well known attractions on the planet (considered one of the New Seven Wonders of the World), Machu Picchu is a stunning and picturesque remnant of a mighty civilisation from times before Europeans arrived. You likely know what it looks like from numerous pictures, but it’s quite something to see it in person. 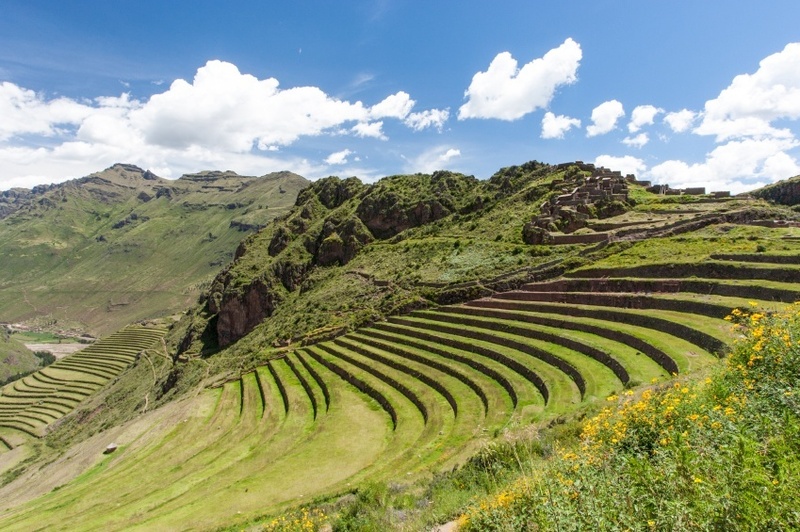 If you’re up to it, try hiking on the renowned Inca Trail to really get a feel for the area. The second largest city in Peru may not be as famous as Lima or Cusco, but to anyone who makes the trip, it serves as perhaps the most interesting of the bunch. 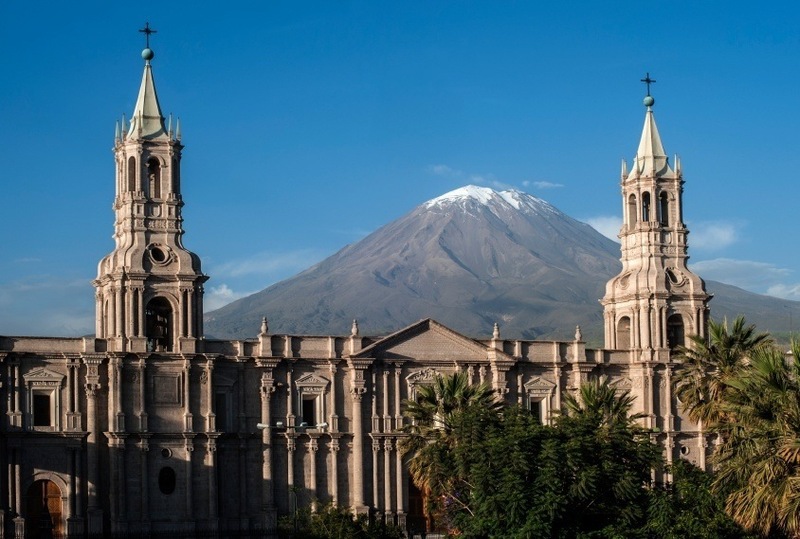 Set in a stunning location (bordered by three volcanoes), Arequipa has perhaps one of the most spectacular backdrops of any South American city. 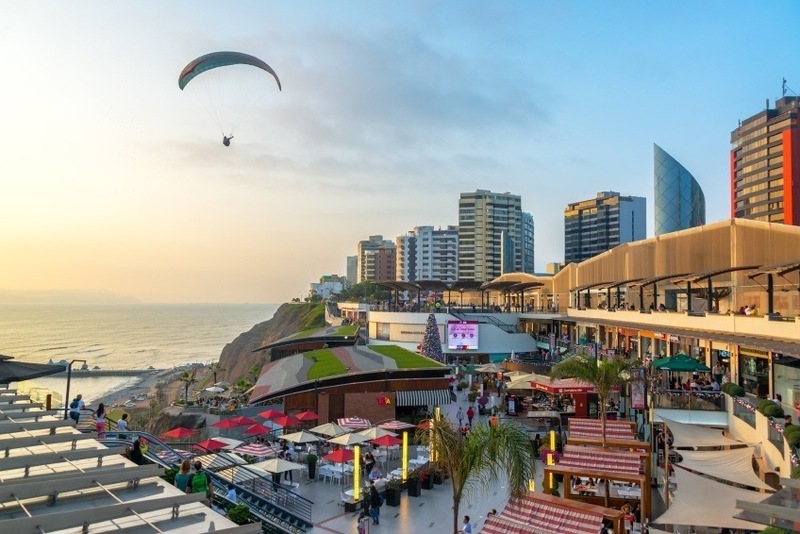 Despite a significantly smaller population, the city also manages to hold its own against Lima with regards to cuisine and cultural events – albeit in a much more manageable size. The largest city in the Peruvian Amazon may be a tough sell for some. Despite the beauty and diversity of the rainforest, the dangers, bugs, and humidity often drive away travelers and sightseers. Still, if you’re up to it, an Amazonian adventure can be quite an experience – and there’s no better place to start than Iquitos. Only accessible by boat or plane, the jungle city is surprisingly large while offering an experience like nowhere else. Beware of higher costs than most other places however due to the hassle associated with importation. This resort in the northwest of the country serves as the undeniable go-to stop for lovers of everything about the beach. The area is almost always sunny, the waters are warm, the surfing is top notch, and the food options are plentiful (if you like seafood that is). After a day of riding the waves, retreat back to the main street for a surprisingly lively nightlife for a town of this size. Close to Cusco and Machu Picchu lies this Andean valley that serves as a snapshot of some of the most beautiful historical relics remaining in Peru. Towns, villages, Incan ruins and more meld seamlessly with a healthy collection of trails (both simple and advanced) – all set in a picturesque location. Exploring the valley is a peaceful experience and one that is well worth it after hitting the nearby tourist sights. On the border of Bolivia lies arguably South America’s most renowned lake. 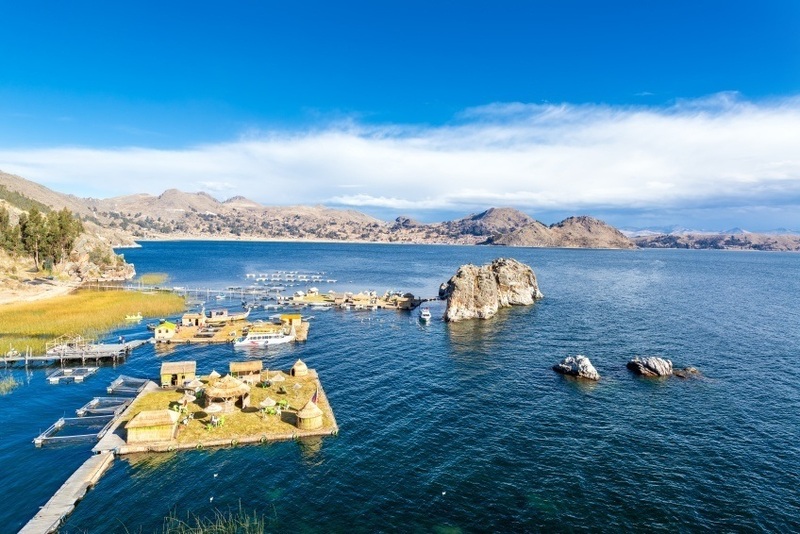 Set at a very high altitude (3812 metres to be exact), Lake Titicaca is a unique waterway – and we’re not just talking about the name. The setting is absolutely stunning while the coastal settlements feature an authentic view into a culture not seen in many other parts of Peru. You’ll truly feel removed from the bustle of city life along the lake’s shores. Round trip flights between Pearson and Lima generally start at just under the $800 Canadian mark. This is by no means the only price however, as there are always deals and other offers available. Be sure to shop around to find the best possible rate! While some tourist sights and out of the way areas might be more expensive, a trip to Peru is generally one of the cheaper excursions out there. Expect an average days cost to add up to around $51 with a budget of $22 for accommodation and $15 for food. If you’re thrifty, you could likely get by with the staggeringly low sum of $19 per day while a more luxurious lifestyle will cost closer to $148 per day. Concepción and Satipo provinces in the Junín department. Despite these warnings, many areas of Peru are generally safe and see tons of tourists every year. That being said, domestic terrorism is a problem in remote areas while you should be wary of both violent and petty crime throughout. Road conditions are not great in many parts of the country, so be wary if traveling by car. If you plan on hiking or otherwise adventuring, make sure you are well prepared, someone knows where you are, and you don’t overestimate your skill level. Remain vigilant and use common sense at all times and you should come back from your trip no worse for wear. Check the Government of Canada’s travel advisory website for more information HERE. These are just a few examples of where to travel in Peru, there’s tons more to see and do. If you think somewhere else should be on the list, let us know in the comments. 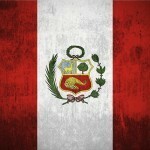 Check out our Country of the Week for more general information about Peruvian history and culture.